Shares in Toronto-Dominion Bank posted their biggest loss since the financial crisis of 2009 after the publication of a CBC News story uncovering how employees admit they have broken the law at their customers' expense in a desperate bid to meet sales targets and keep their jobs. Shares in Toronto-Dominion Bank posted their biggest loss since 2009 on Friday after the publication of a second CBC News story uncovering how employees admit they have broken the law at their customers' expense in a desperate bid to meet sales targets and keep their jobs. TD stock closed at $66, falling $3.88 a share — more than 5.5 per cent — its worst day since the end of the financial crisis, and enough to wipe out all of its gains for 2017. In two stories on Monday and Friday, CBC's Go Public team outlined how TD employees have come under pressure to sell products that may not be appropriate for customers, and in at least one case increased a customer's overdraft and credit limits without their knowledge. In a statement, TD disputed the reports, saying "the environment described in the media report is very much at odds with how we run our business, and we don't recognize it from our own perspective, experience or assessments." But that didn't seem to be assuaging investors' concerns, at least in the short term. Analyst John Aiken at Barclays, who covers TD, likened the story to a "Wells Fargo moment" — a reference to last year when the U.S. lender was fined $185 million by regulators after some of its employees were found to have made up bogus accounts to hit sales targets and get bonuses. "Concerns are arising with investors that the fallout could be similar to what happened to Wells Fargo," Aiken wrote in a commentary. TD shares finished at $66 a share on Friday, but Aiken's 12-month target price for the stock is $64 and he gives it an "underweight" rating. That means he thinks the stock could be worth less in a year than it is today, and he thinks it's an inferior investment prospect to other similar companies. "Ultimately, we do not believe that there will be much of an impact on TD, as we would be surprised if the issues described were as systemic as occurred with Wells Fargo in the U.S.," Aiken wrote. "That said, given the damage that the allegations did to Wells, investors will likely remain cautious about the tail risk and the impact on TD's valuation may not dissipate until after an official investigation is concluded." Credit rating agency DBRS said it didn't anticipate a change in its rating on TD. "However, DBRS will continue to monitor the development and severity of any resulting reputational damage," the firm said. 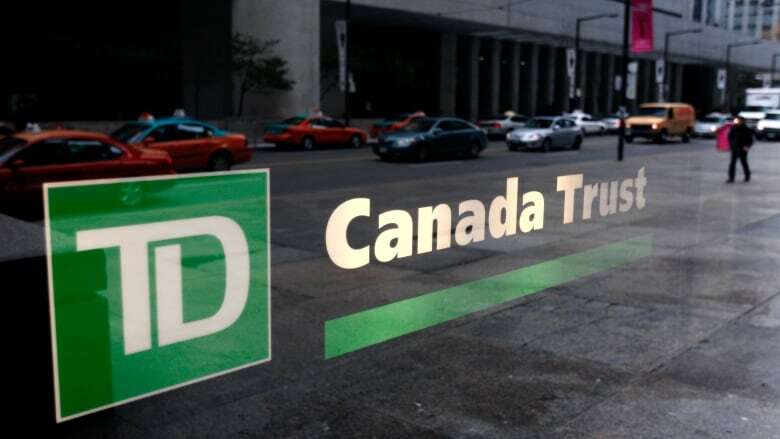 "Given its relatively high rating level and the importance of the Canadian retail-banking sector to TD, DBRS has limited tolerance for any adverse impact to TD's franchise strength and/or earnings power, both of which are key underpinnings of the Bank's credit profile and overall credit ratings," DBRS said. In a written statement sent to CBC News Friday evening, the CEO of TD Bank Group, Bharat Masrani, said TD has "a long history of providing great customer service." "We do that by listening and responding to our colleagues and our customers," Masrani wrote. "We'll continue to do so. We are in the trust business. Everything we do is about earning and sustaining the trust of those we serve."